After years of study, cooking and refining his skills in France, John Correa returned to the states, met his wife Judy and opened this unpretentious, intimate little restaurant in Key West. In a very short order, CafÃ© SolÃ© captured the hearts and palates of locals and visitors lucky enough to discover this culinary gem off the beaten path. By combining his French mastery of sauces with fresh locally caught seafood, John has created a menu unlike any on the island, where every dish is bursting with indescribable flavors. Mutton snapper in pesto and champagne, yellowtail in a beurre blanc of lobster or a rare hog snapper with red pepper zabaglione top a list of nightly specials. As for the classics, the Duck a L'Orange, Rack of Lamb with herb de Province and Lobster Bouillaise are as authentic as you will find this side of Paris. Chef Correa combines the best of both of his worlds, European and Caribbean to win the People's Choice and Best Entree awards at a recent Master Chefs Classic. 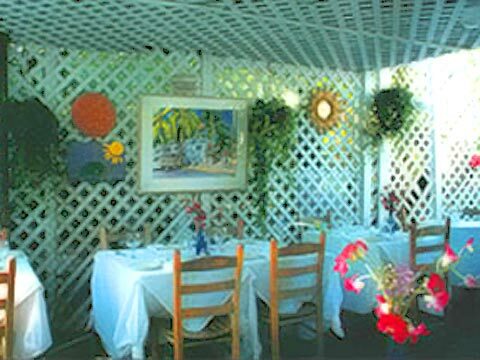 With his creative cuisine, a knowledgeable wait staff and a "joie de vivre" ambiance, CafÃ© SolÃ© is a must visit for Key West!